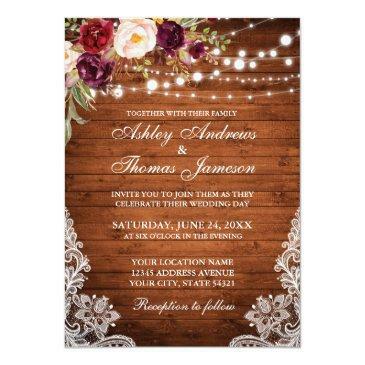 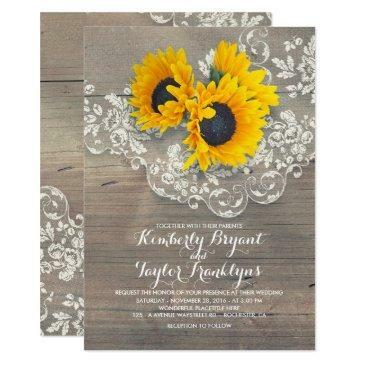 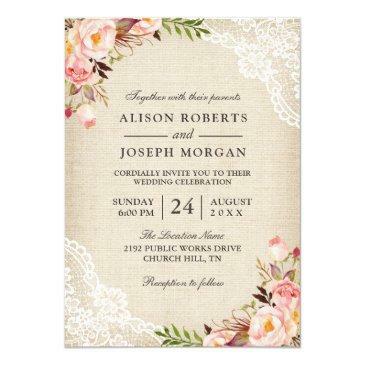 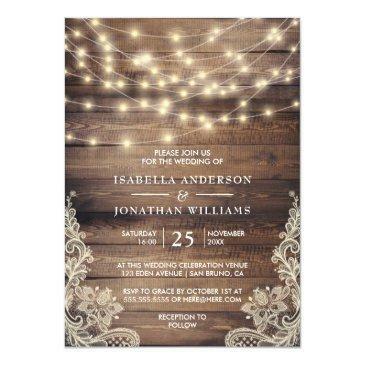 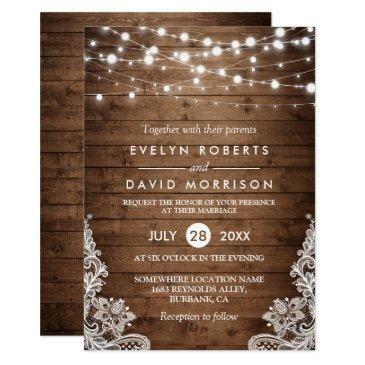 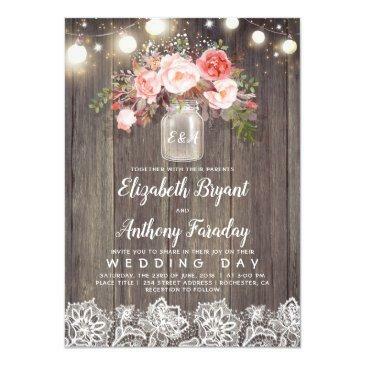 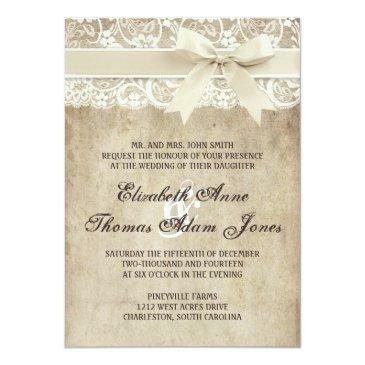 This custom wedding invitation is the perfect combination of traditional and trendy. 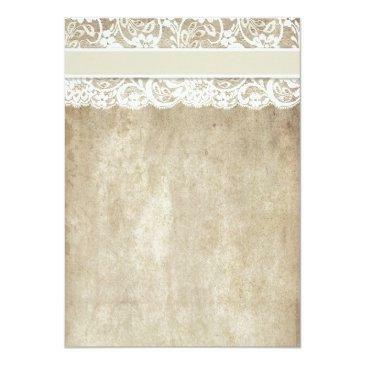 The distressed vintage background is perfect for a rustic or vintage themed wedding and the lace-look accent adds a classic, romantic touch. 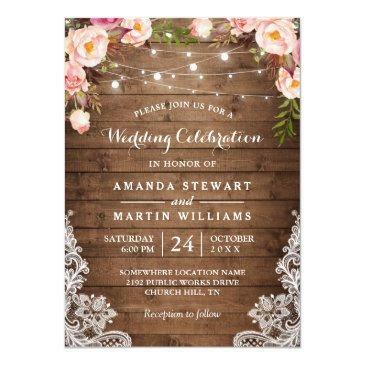 Coordinates with full collection of matching Save the Dates, RSVP cards, custom postage, and more! 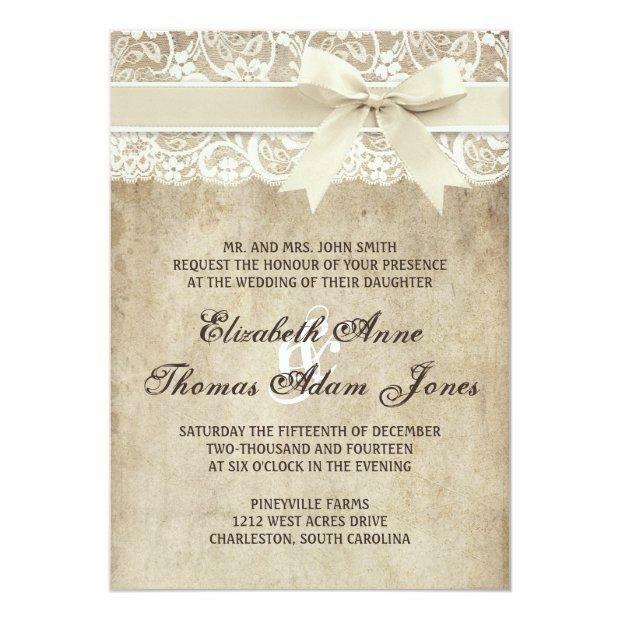 NOTE - This is a high-quality image of lace, & ribbon; this invitation does not contain actual lace or ribbon. Thanks!